A 34" x 99" slab of claro walnut mounted on a steel base custom fabricated by Sam in the metal shop. 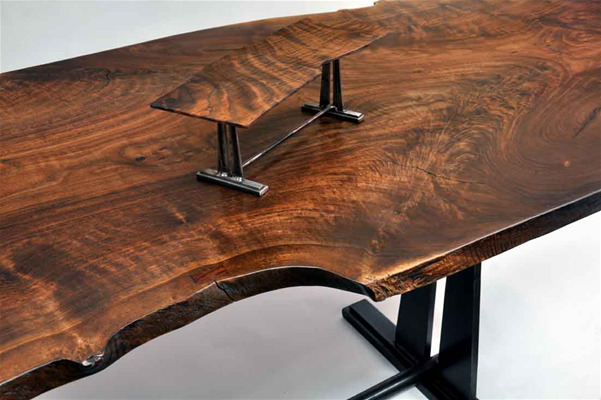 If you're interested in a table like this, I can source a slab for you .... For more info on the design and construction processes visit our blog. Prices for these tables are totally determined by the price of the slab selected and as such, are priced on request. +/- 34" x 98" x 29.5"